Chester Rogers hasn’t forgotten what it’s like to overcome the odds. Chester Rogers averaged 12.3 yards per catch last season with the Indianapolis Colts, good for third highest on the team. That’s a pretty good deal for a guy who was a walk-on at Grambling State University and had to make his way to the NFL as an undrafted free agent. His budding NFL success after three years in the league hasn’t caused him to forget where he came from, however. 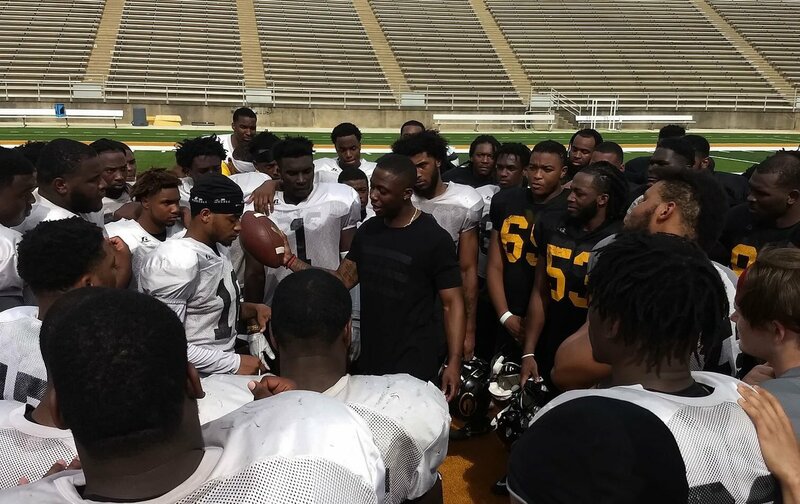 Last weekend Rogers returned to Grambling to award the first ever Chester Rogers Perseverance Scholarship Award. It’s a $5,000 scholarship that goes to a walk-on at GSU, someone who is essentially following the same path that Rogers forged. Grambling wide receiver Calief Samon was the recipient of this year’s scholarship. Indianapolis Colt WR making good on his promise to give a $5,000 scholarship to a a deserving Grambling student athlete. 2018 recipient is GSU WR Calief Samon. Chester started his career at GSI as a Walk on! “I use to often question my path and wondered why mine was always more difficult than most of my peers… but then I stopped once I realized that my path was ordained by GOD. I went from a walk-on to a UDFA..and when I made it I vowed to never forget where I came from, I instantly knew I had to use my resources and platform to help others behind me who will face the same challenges,” Rogers said on his Instagram channel. Rogers said he had plans on expanding the scholarship in the future and making it available to HBCU’s all over the country.